CASL is one of world's toughest anti-spam legislations. Not only does it include strict rules on how commercial electronic communication can be sent, it's backed by some very strong financial penalties. In the first part of our CASL series, we discussed what Canada's Anti-Spam Legislation is and what constitutes consent to communicate. Now, we will discuss what penalties you or your organization can face for violations and on what timeline these different rules take effect. There has been some confusion over how penalties will work when CASL takes effect. In addition to government enforcement, the law allows for private civil action as well. That's important: If you violate CASL you could be fined by the government and sued in civil court as well under the Private Right of Action section of the legislation. And the costs are significant. The Office of the Privacy Commissioner. Government enforcement can result in fines of up to $10 million per incident for corporations and up to $1 million for individuals. Orders in civil court stemming from the Private Right of Action section may include compensation for damages and/or expenses plus additional amounts. While the additional amounts will vary depending on the nature of the contravention, many situations will incur amounts of $200 per contravention up to a maximum of $1,000,000 for each day which a contravention occurred. These numbers are the maximum fines and penalties, but they are a significant enough amount to create worry about a rise in class action lawsuits once the law takes effect. The legislation provides some mitigating factors, such as the nature and scope of the contravention, as well a person's ability to pay. In the end, we will have to wait and see exactly how the courts will choose to handle these kinds of violations. Notably, the Private Right of Action section of the legislation does not come into force until July 1, 2017. After the act takes effect on July 1, 2014, there is a three-year transitional period which will allow companies time to organize. During the three-year transitional period (between July 1, 2014 and July 1, 2017) consent for commercial electronic communication with pre-existing business and non-business relationships is implied. If you have had a business or non-business relationship with someone, but haven’t communicated in a long time, now is your opportunity. This is common with professions like lawyers and real estate agents who may not have interacted with clients in five or 10 years. You can use this time to reconnect and seek explicit consent for further communication. After the three-year transitional period, you can only have electronic communication with those who have given explicit consent (agreed to be put on an e-mailing list, to receive text messages with news, etc.) or those with whom you have had a business or non-business relationship within the last two-years. Once the act takes effect on July 1, 2014, you cannot use electronic means to communicate with someone without their explicit consent (unless you have a previous business or non-business relationship). For example, you may have an email list consisting of 20 clients and 50 potential clients. During the 3-year transitional period, you cannot engage in electronic communication with those 50 contacts unless they have given explicit consent. Another important point to remember is that only existing business and existing non-business relationships prior to July 1, 2014 are grandfathered during the transitional period. This means that everything after July 1, 2014 falls under the 2-year period of implied consent. If you have had a business relationship with someone in 2010, you can reach out to them during the 3-year transitional period (which ends July 1, 2017) to seek explicit consent to continue sending electronic commercial messages in the future. If you begin a business relationship with someone in August of 2014, you only have the implied consent for 2-years. While you can still send a commercial electronic message to the person in the first example during the first half of 2017, you won't be able to do so with the second person without explicit consent, as that falls beyond the 2-year period. While implied consent is useful, explicit consent is preferred as it lasts forever (unless the other party requests to end the communication). As such, it is recommended that you try to get explicit consent from customers and prospects alike. Someone can opt-out of communication at any time, whether they have given explicit consent in the past or not. Unless unreasonable, be in the same method as the communication. For example, to opt-out of a mailing list by clicking an unsubscribe option in the email, or ending text message communication by texting a key word back. Have clear instructions on how to opt-out included in the communication. Be completed within 10 business days of the request being sent. All methods for opting-out, such as an unsubscribe link in an email, must be valid for 60 days after the message has been sent. In coming articles, we will look at your CASL compliance checklist, exceptions to the rules and the best ways to keep communication open. 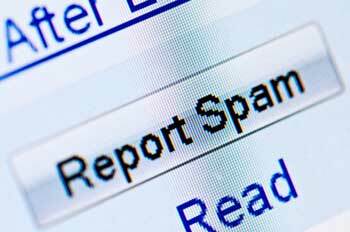 Previous CASL Article: What is Canada's Anti-Spam Legislation? Next CASL Article: What Does A CASL Compliant Email Look Like? Kristopher Morrison is a journalist with CanadaOne.com® and a content manager with Biz-Zone Internet Group Inc. Connect with Kris on Twitter, Linked In, Google +. For over 15 years CanadaOne has helped Canadian businesses start-up and grow. All of the content on our site is created to help busineses get Canadian answers! MemberZone. Get in the zone! Join Today! Should I Start My Own Company?